Find Staten Island bike trails that are fun for both novice and experienced cyclists. Before you plan your trip to the borough, explore our comprehensive guide to biking on Staten Island. Search for Staten Island biking that best fits your cycling needs. A Multi-Use Trail for Biking on Staten Island! If you're looking for places to go biking in Staten Island, look no further than Great Kills Park! The 580-acre park contains a multi-use trail that's perfect for biking. 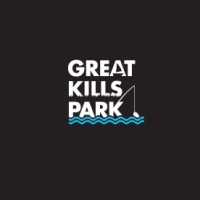 Other fun activities at Great Kills include beaches, fishing, boating, rollerblading, swimming, surfing, hiking, model airplane flying, and running. The park is easily accessible from Manhattan, as the ride is no more than 30 minutes over the Verrazano Bridge. If you need directions, a map is provided on the website. The park is open 9 A.M. to 4:30 P.M. on Fridays through Mondays. Nearby attractions include Fort Wadsworth and Miller Field. Group Bicycling in Staten Island for all Skill Levels! Serving Staten Island and the Greater NY Metropolitan area, the Staten Island Bicycling Association was created to promote bike riding and bike safety in the borough. If you enjoy group bike riding, but aren't interested in racing, this is the perfect cycling club for you! You'll find rides that appeal to everyone from the novice cyclist to the experienced rider. The membership fees are easy to afford, with discounted rates for families. If you're unsure of whether or not a specific bike route is appropriate for you, the website gives you detailed information on all the routes. Find out which skill levels are needed and the terrain designations.